The Pro Aluminium Cone Hairbrush 24mm has a lightweight design and rubber grip handles for easy grip. 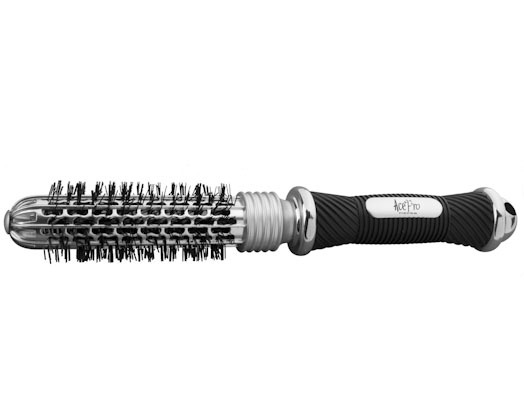 The Pro Aluminium Cone Hairbrush has hard nylon bristles and a hanging loop for easy storage. 24mm aluminium cone hair brush.